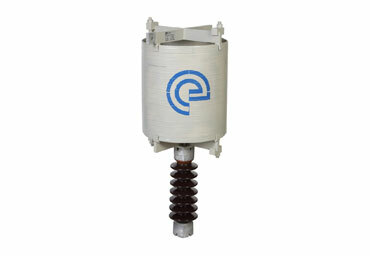 Current limiting reactors for medium voltage applications up to 34.5kV are used to dampen the transient current spikes that happen during the turn on of various electrical components and machines. Most common example is the power factor correction capacitors. During the initial charging of these capacitors a very large current spike occurs. These reactors, when connected in series with a capacitor bank, prevent this spike, thus preventing protection devices from kicking in and shutting the system down. Furthermore the additional impedance provided by these units can be used to reduce the short circuit current of the system, allowing for circuit breakers with lower short circuit capacity to be used.